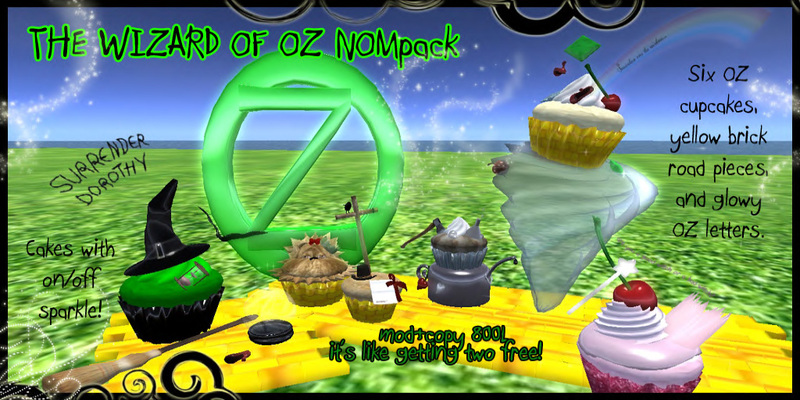 New Wizard of Oz Nom Pack from Cupcakes and Poetry! Today’s big release: six Wizard of Oz cupcakes. Available as singles (200L) or the NOMpack of all six (800L), each includes a chunk of yellow brick road, and a glowy OZ sign. Dorothy, Scarecrow, Tin Man, Cowardly Lion, Wicked Witch, and Glinda have been turned into cake. Naturally! Some cakes include on/off sparkles; some cakes include text from the book and movie(s). All cakes are mod+copy. From 10 to 29 prims for each cake. You can find them in-world, in the deviousMind sim, and also coming to the marketplace soon. 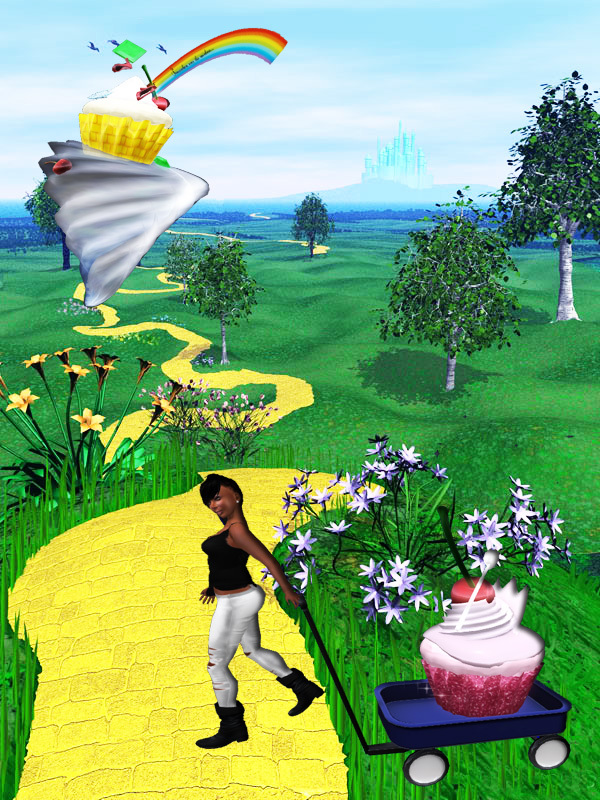 As you can see I called myself snatching one of these cupcakes , I thought I was home free when I saw the yellow brick road… But ummm think I might have gotten myself into some trouble?!? I didn’t think tornadoes could get that big OH MY!!! ← For The Love Of Halloween Event starts today!